LGSP4 [reviewed and discounted] – Land behind Todhurst, The Street, Plaistow. Naturalized rough woodland, rough grass and scrubland, formerly an agricultural field. It adjoins the Plaistow Conservation Area and is adjacent to Todhurst (Grade II) and other Grade II listed houses located on Back Lane. The area if in private ownership but it has become an informal green space used by residents and the Steering Group was advised that Plaistow and Kirdford Primary School sometimes conduct nature classes on the site. 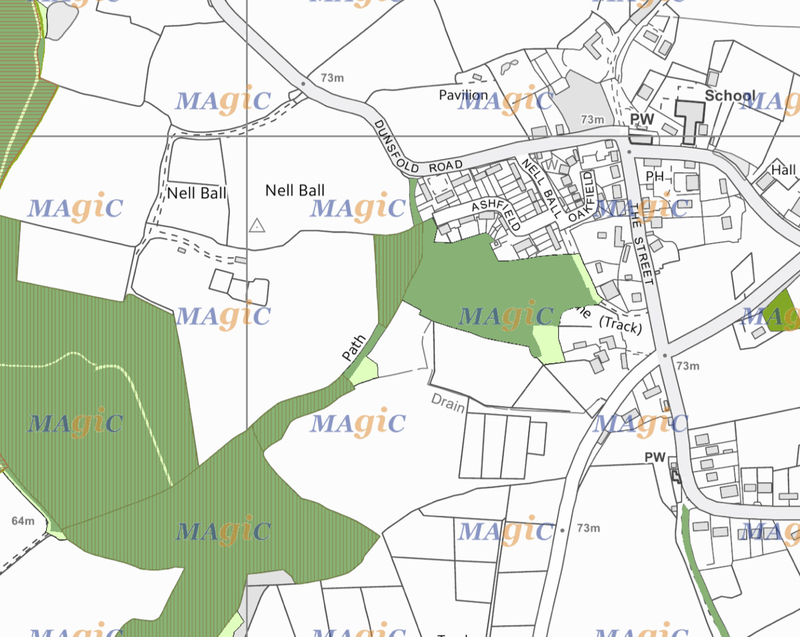 The area is environmentally sensitive with a pond near to the boundary and adjacent to Ancient Woodland (Nell Ball Copse and Berry Field Copse). ASSESSMENT: LGSP4 – Land behind Todhurst, The Street, Plaistow.